Even with the availability automation, technology, and sophisticated software, operating a restaurant in the market is an entangled task. Labor is short, customers are demanding, benefits are razor thin and traditional POS software offer no assistance. Amusingly, in the meantime, innovations in restaurant technology have been on the rise. 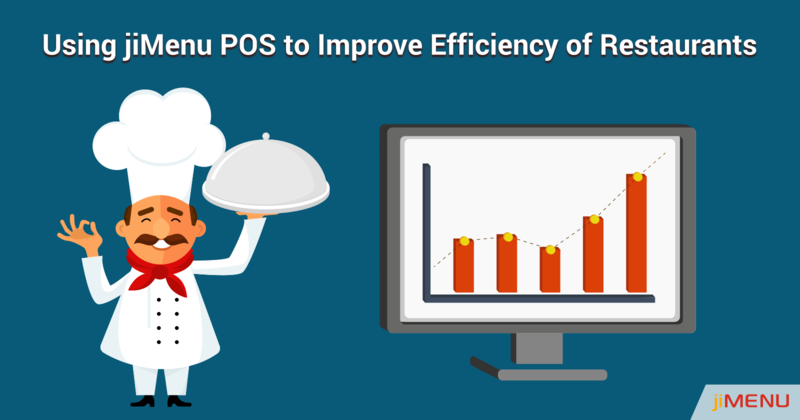 Cloud-based restaurant POS systems might be the appropriate response you need to enhance your restaurant efficiency. In this article, we will talk about how a cloud-based restaurant software can take your operational proficiency to the next level. Cloud-based POS software work with a degree of automation, thus decreasing the requirement for manual work, saving time, enhancing table turnover rate, adding to consumer satisfaction and bringing overall ease in performing different front-end and back-end operations. Below we will talk about a few operations conceivable only through a cloud-based POS software and how they automate corresponding restaurant functions, thus enhancing the overall restaurant productivity. Inventory management is the backbone of any restaurant. You constantly manage your inventory, it is a continuous process tracked weekly, daily, hourly and if possible even on a minute to minute or order by order basis. It uses up time, energy, and manual resources and even after all that, discrepancies in stock can happen, internal thefts are possible, and accounting errors with inventory numbers are nearly expected. Here is where a cloud-based restaurant POS software with an inventory management feature steps in. It automates the process of tracking inventory based on the opening numbers fed to the POS software. Hence you can track your inventory continuously, all the time. Since the software knows the opening numbers of every ingredient in stock, it automatically tracks these numbers based on the orders being fed to it on a daily basis. The technology works as an integrated, synchronized unit which implies that as orders are billed for, the POS system will automatically update inventory count based on the data. A restaurant's identity is based on the food it serves. Therefore it is important for you to be consistent in the quality and the quantity of the food that you serve to your customers. Easier said than done, maintaining consistency as the kitchen staff changes shifts or as the restaurant expands is a challenge in itself. Henceforth emerges the requirement for a recipe management software. Using the software, you can store the exact recipes for each dish in the software. These can be accessed only by approved staff at any time and from anywhere. The recipes will contain precise instructions on cooking a dish, the quantities of raw material to be used and even the portion sizes. The staff can be trained to recreate these recipes, regardless of where the outlet is located. In this way, no two cooks will deliver distinctive tasting dishes and your time and energy in training the staff will be saved. People these days are much more gadget-friendly. Since a cloud-based POS is hardware independent and works in a virtual space, it empowers a feature like a tablet ordering. A tablet ordering system is a direct table to kitchen ordering system that enables your servers to take an order and send it directly to the kitchen through your POS software. Every server will have a tablet where the whole menu will be shown. As a customer places the order, the server will select the items, include customizations and send the order digitally. The order will get updated in your POS system automatically and simultaneously without any special requests and customizations being lost in the process. The feature automates the entire process of taking the order, delivering it to the kitchen, adding it to the POS, coming out with the order again, serving the guests and communicating special requests. Queue Management is a must-have technology, that can optimize your entire table reservation process. It will empower you to manage customer reservations effectively, and make the whole experience an enjoyment for your customers. Your customers will be able to book a table of their choice ahead of time, and you will be notified regarding any such reservations. Thus, no reservations will be missed during rush hours. Regardless of whether customers who have not booked their table ahead of time walk in, they should simply express the need of a table for their party size, and the next free table of the size can easily be assigned to them using the POS software directly. Even pre-orders can be integrated and coordinated with the kitchen staff on the arrival of customers directly through the POS system. Billing is the most fundamental element of any POS software, so you may think about how a cloud-based POS software can produce bills differently. It does not actually create bills differently; it can simply do much more with billing which makes the entire system more comprehensive, centralizes different operations and smoothens the billing process as a whole. A cloud-based POS software can generate bills as the items are being ordered. When the customers are finished with the meal, the software will automatically and instantly generate the bill without you having to physically feed the items since it is now synchronized with tablet ordering feature mentioned above. This empowers the billing process to be quicker, more concise and free of any errors. The food space has been growing quickly and broadly. Competition is on an all-time high, customers are requesting more, profits are thin, however, in this, efficiency can be achieved in restaurant operations. This efficiency won't just present to you a more noteworthy amount of benefits yet, in addition, improve the manner in which you run your restaurant and ensure your survival by giving you an edge over your rivals. Do not wait too long, upgrade your restaurant POS software and see how far technology can take you.